See Canadian Quilt Collections for a list of museums and historical societies with quilt collections in Canada. See QI South Africa, our extended portal for South African quilt collections and documentation efforts. The United Kingdom Quilt Collections section of this Wiki has so many museums listed, that we have given the UK its own page. On the United Kingdom Quilt Collections page, you'll find entries grouped by England, Scotland, Wales, and Northern Ireland. For documentation projects (not museum collections) from the UK, please see instead our United Kingdom page. 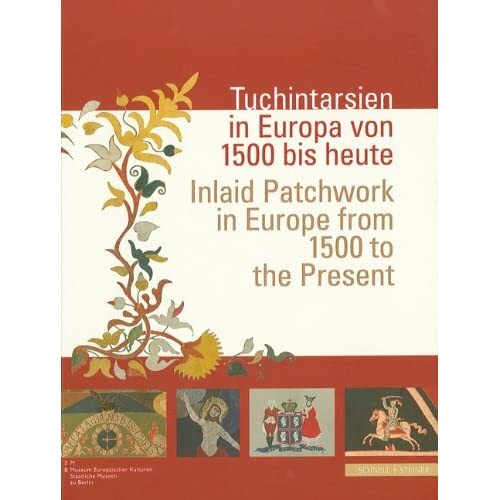 Many of the collections listed here are listed in the book Tuchintarsien in Europa von 1500 bis heute / Inlaid Patchwork in Europe from 1500 to the Present by Dagmar Neuland-Kitzerow, Salwa Joram, and Erika Karasek (2009). This exhibition of inlaid textiles features significant examples from 1500 to the present. Horsemen, blossoms, animals, religious stories and spray painted stencil images unfold as a baroque pictorial cosmos on tapestries and covers. All these objects are made in a textile intarsia (inlaid patchwork) technique, ornamented and refined by additional textile techniques. The works are pictorial, straddling the boundary between art and craft. The exhibition is organised by the Museum Europäischer Kulturen, Staatliche Museen zu Berlin. It was on display at Leeds Museum and Art Gallery in fall 2010. Clicking on the name of a museum takes you to the page about that museum's quilt collections. PLEASE do not alter the names of any titles appearing in purple without consulting the Quilt Index staff--doing this breaks links and makes it impossible to navigate to the page!!! ONLY click the edit link on the righthand side of the page if you adding a website url or a location for your institution. Please remember to type an asterisk before the url/location. This page was last modified on 1 December 2011, at 22:12. This page has been accessed 230,691 times.